Clean cauliflower, set aside with potato. Heat oil, toss in cumin, bay leaf, curry powder, turmeric, cardamom and curry leaves. Stir together. Rapidly add onions, cook until translucent. 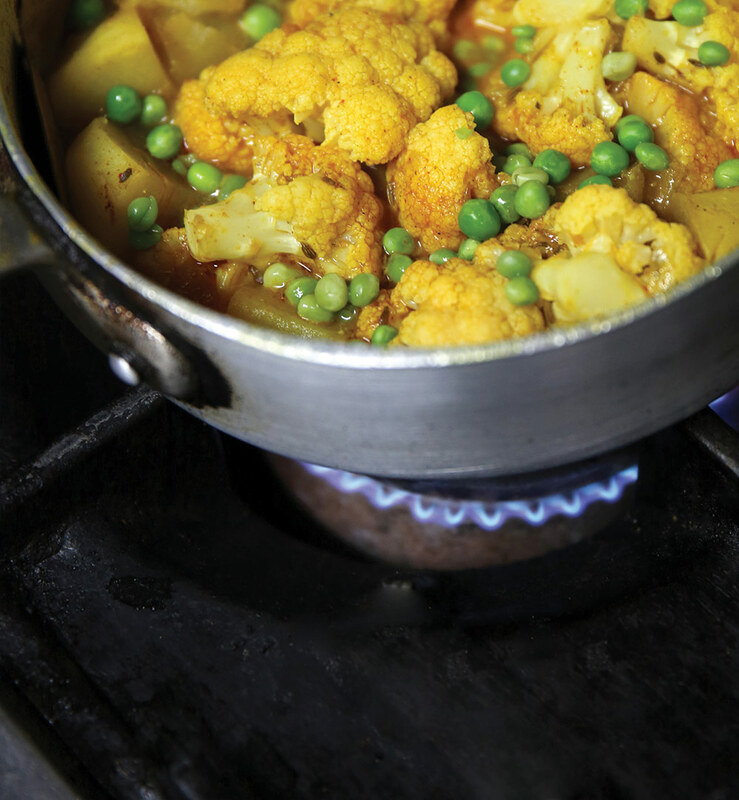 Add cauliflower, potato and peas (if you are using fresh peas; if frozen, add later, 5 mins before end of cooking). Season to taste with salt. Add water, mix gently. Simmer until cauliflower and potatoes are cooked. If using frozen peas, add about 5 mins before you judge the potatoes will be done. Scatter with fresh coriander. Serve with basmati rice or rolled in a roti.